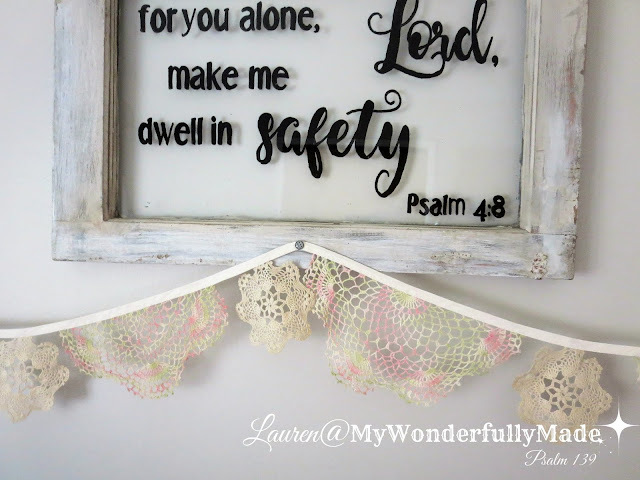 Thanks to Lauren at My Wonderfully Made for this pretty project. Thanks for the sweet share! I'm so glad you like the banner. You know it's funny I posted this on Hometalk and some people were outraged that I'd cut up vintage doilies lol. I told them I wouldn't cut up any that were family heirlooms but have no problem using ones I find at sales.